Today I have Jean from Delightful Repast guesting with me for Social Saturday. Jean has a blog full of wonderful recipes that look and taste great, but also meet her standards for healthy eating. It's tricky getting the balance right, but Jean does it beautifully. 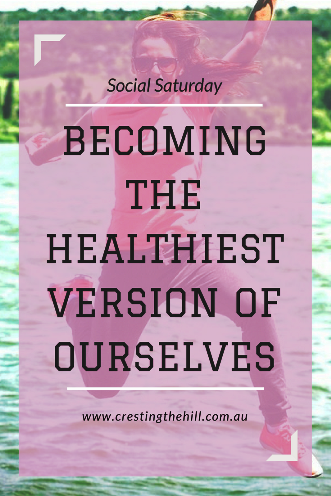 Today she's sharing her thoughts on eating to stay healthy in Midlife and also a couple of tips on movement as well - something we all need to keep doing. Though, admittedly, I’m almost as interested in my exterior as I am my interior, I’ll leave the beauty tips to another writer as I really have only one: Take care of the inside, and the outside will take care of itself. Aging starts at birth, of course, but the body can take a fair amount of abuse before age 25. Time to start paying a bit of attention! Then at 35 bone loss begins, and it’s time to get serious about getting regular weight-bearing exercise to prevent osteopenia and osteoporosis. I recently read that age 45 is the point at which aging accelerates and the body deconditions at a faster rate and that physical inactivity at that point can result in disability or frailty in later life. It’s the ideal time to begin strength training, if you haven’t already, to slow down these effects. Age 50 (well, 50-ish, or menopause) is the next milestone for women. If you’ve reached 50, it’s time to get down to business. But even if you’re well past 50, it’s never too late to improve your health. If you’re at that stage and still stuck in the yo-yo dieting trap, it’s time to stop. Temporary slimming diets don’t work, so it’s time to make lifestyle changes that are sustainable for a lifetime. 1. Never consume more than 6 teaspoons (24 grams) of sugar in a day, while never ingesting artificial sweeteners or high fructose corn syrup. 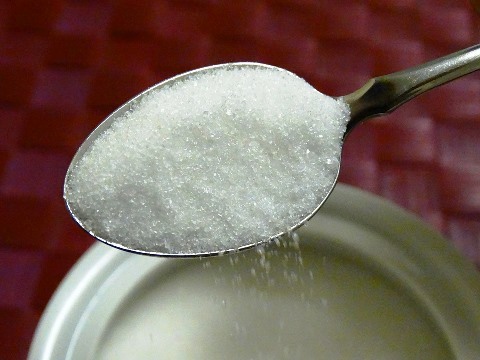 Your sugar cravings will magically disappear in short order. The details are here: Sugar–Toxin or Treat? 2. Look into 16:8 Intermittent Fasting. It has numerous health benefits and will result in natural and sustainable weight (fat) loss without giving up your favorite foods or restricting calories, carbs or fat. The details are here: Intermittent Fasting 16/8–It’s Not Just What You Eat, But When You Eat. 3. Determine what supplements you need to be taking and take them every day. One supplement I added to my arsenal this year is Vitamin K-2 (MK-7), which prevents calcium from going where it shouldn’t, like your arteries and kidneys, and directs it to where it needs to go, your bones and teeth. 4. Exercise daily. Walking is ideal, but you also need strength training and stretching. I work out solo, but if you prefer working out with others, join a gym or class. In the US, some insurance plans provide free fitness programs. 5. Never take a drug or have a medical procedure for anything that can be treated by a lifestyle change. Save the “big guns,” with all their risks and side effects, for problems you can’t fix yourself. It’s easy to say “I don’t have the time to exercise” or “I don’t have the money to eat well and take supplements.” But if you don’t find the time and money now to build health, sooner or later you’ll have to find the time and money to be ill.
Jean started Delightful Repast in February 2010 to share her favorite comfort foods. Though she’s an omnivore, recipes she’s developed include gluten-free, nondairy, vegan and vegetarian as well as dishes that reflect her heritage (half English, half Southern) and eclectic tastes. She also likes to slip in a plug for organic food now and then. I have been doing IF for about a year and a half now. I usually fast from 6p till noon the next day. Some days the hours are a little different but always try to fast at least 16 hrs. Now exercise is a whole different ballgame. I try to walk at least three miles a day but don't always make it. And is IF working for you Victoria? I've been doing it since January and I'm not sure if it's making a huge difference to my weight, but it must be better for my insulin and general health - and yes, walking is my go-to exercise too. Victoria, that's wonderful! I'm such a believer in IF that it makes me so happy when I hear someone is doing it. The health benefits are many and it's so easy to do, I want everyone to do it! 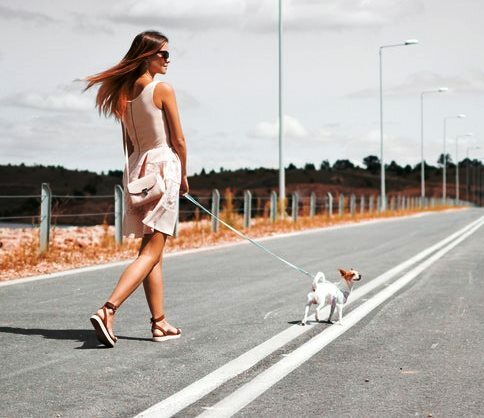 Three-mile walks are great, too. Keep up the good work. I've heard all my life that if you work on a healthy life style when you are younger, it pays off when you are older. I've been planning for aging since I was in my mid-twenties. I want to be the old lady who can out walk all the teenagers. I've noticed that all the stuff I got away with in my 20s and 30s is long gone. I need to be making healthy choices every day and you're right Lee, the sooner you start, the less there is to fix later! Lee, I love that! It really does pay off. You will feel younger and look younger than if you had just let life happen to you rather than working on a healthy lifestyle. Hello, Jean - Thank you for the excellent tips and reminders. I regularly practice yoga and recently added daily aerobics classes to my fitness routine. I try to eat healthy foods (but am not always 100% successful with this). Thus, your reminders were greatly appreciated! Hi Donna - you would be one of the fittest over 50's (over 60s!) women I know - and I think the occasional lapse with the eating is totally acceptable - or how boring would life be? Thanks so much, RR! The key to an active retirement is staying as healthy and fit as possible. Sounds like you're doing quite well with that! Great ideas - simple and clear. I've avoided trans fat and high fructose corn syrup for many years! I have a sweet tooth but have drastically reduced my intake. On days I don't enjoy a dessert, I have no sugar intake so I'm pretty happy with my current balance. I've never heard of 16/8 but tend to practice extended hours between dinner and breakfast. I'm excited that I seem to be moving in the right direction. Thanks for an encouraging post! Leanne - thanks for introducing me to Jean! She's pretty amazing isn't she Janet? I'm with you on reducing my sugar intake. Fortunately in Australia we don't seem to have the corn syrup issue - it's just not an additive you see much - but there is so much sugar loading in processed foods and that scares me. It makes me very grateful that we prepare most of our food from scratch - a lot easier to monitor what's going into our bodies that way. Thanks, Janet. "Moving in the right direction" is a really good way to put it. So many people try to make too many drastic changes all at once, and that is doomed to fail. The 16/8 was an easy change for me because I had already stopped eating or drinking anything but water and tea after dinner, so I just had to postpone my breakfast for a few hours. Some people find that adding an hour at a time makes it painless. So glad to "meet" you here, Janet! Thank you, Diane. I love it when people agree (x5!) with me! My husband calls all this stuff we do "fighting decrepitude." You are another one of my inspirational Midlife women Natalie - you are constantly doing something to keep you healthy - physically and mentally. I like reading what others are up to because it pushes me to lift my game! Thanks, Natalie. Sounds like you're "not gonna take this lying down" either! Love your balanced fitness program! My Vit D is low too Deb - I guess I cover up too much because of the whole skin cancer thing but it impacts on the absorption of those sunbeams! I'm working on keeping my sugar and carbs down but those few pesky kilos refuse to budge - I think I have to work harder at the movement side of things and get off my laptop! They're great aren't they - I love healthy tips that are balanced and not gimmicky. Love this! Our bodies want to be healthy/heal themselves if only we wouldn't get in our own way with bad eating habits and lack of exercise. I need to tighten up (literally and figuratively...hehehe!) in these areas and am actively working on this. Thanks for the reminder! "Never too old to learn" is sooo true, Debbie! I grew up with a way ahead of her time about all things nutrition mother, and yet I'm still learning. Most people are low on D and should be taking vitamin D3 supplements, so I'm glad you checked your levels. Thanks, TWB! Yes, we do get in our own way. Any time I'm tempted to eat something I'd be better off not eating, I remind myself: Nothing tastes as good as healthy feels! It's so easy to find something at the pharmacy to mask our symptoms - necessary sometimes, but not necessarily the first port of call just because it's easy to take a pill. How awful for you with your reaction to penicillin! Thank you for sharing your experience with us, Maria. And I'm so sorry you had to go through that! Thank you for this post. And thank you for not including any fad diets. It's really a lifestyle change. Being busy has been my long-time enemy. I'm trying to work on focusing on my health. This is a great help! I'm visiting from the #AnythingGoes linky. 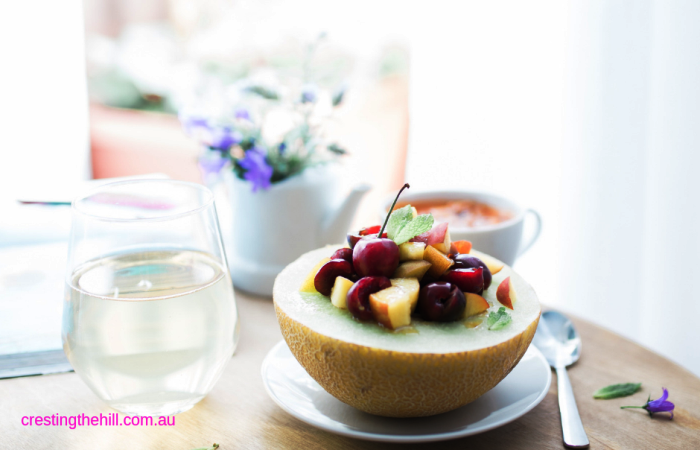 Fad diets are always flash in the pan things that come and go - it's finding something consistent that works for us over the years that is really important. I hope you find your ideal solution Sigrid. Sigrid, thank you so much. And I wish you the best in focusing on your health. Great, level-headed post. Often in this arena the advice and 'tips' are so extreme and impractical but yours is far from that. Thanks for sharing. Melissa, thank you so much. I know what you mean, and I consider "level-headed" a great compliment! That's what I loved about Jean's advice Melissa - nothing weird and faddy - just commonsense and practical guidance. Hi Leanne, Thanks for Jean's post. She is one of my favourite bloggers on the Pit Stop. 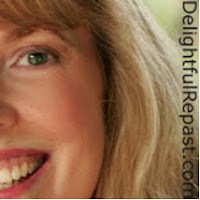 She has some great things to share in this post and we will feature it next Blogger's Pit Stop. Kathleen, thank you so much. I've gotten acquainted with so many wonderful bloggers through Blogger's Pit Stop. I think you have it pretty well figured out Denyse. Oral cancer is a tough way to go about losing weight, but now that you're on the mend, it would be great to continue to reap the benefits of a slimmer body and not undo all that you've achieved. Denyse, it's wonderful that you caught the problem while it was small and are making better choices now. Any time I am tempted to "treat myself" with something that's over my 6-teaspoons-a-day sugar limit (and that is rare indeed, because the limit eliminates cravings), I remind myself that that wouldn't be treating myself very well at all. You're so right: "Diets never work." My husband is a PT and I'm not sure he would agree with the IF, but certainly everything else seems to make sense. Thanks for sharing with #TriumphantTales. I think everyone has their own favourite healthy eating ideas and there is a lot of positive stuff out there about IF - I guess we each choose what works for us and fits in around our fitness regime. Thank you, Jaki! I would love to get your husband's opinion on IF. There are different versions, and I'm not necessarily in favor of all of them myself. I love walking and Tai Chi Michelle and I'm too scared to stop either of them for very long because I might never start again! I go to the gym a few times a week, I think I could do with looking into what supplements could help me. Very useful tips. Thank you, Ali! I think you're right. It would be rare to find someone who doesn't need supplements these days.